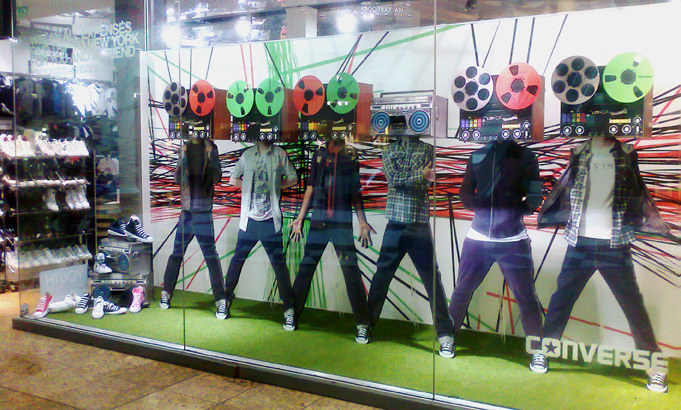 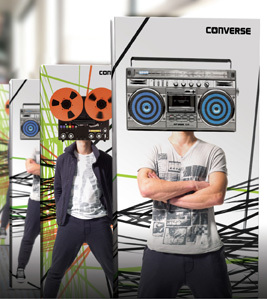 Converse launched their Spring/Summer apparel collection in the UK at USC with an in-store and online campaign. 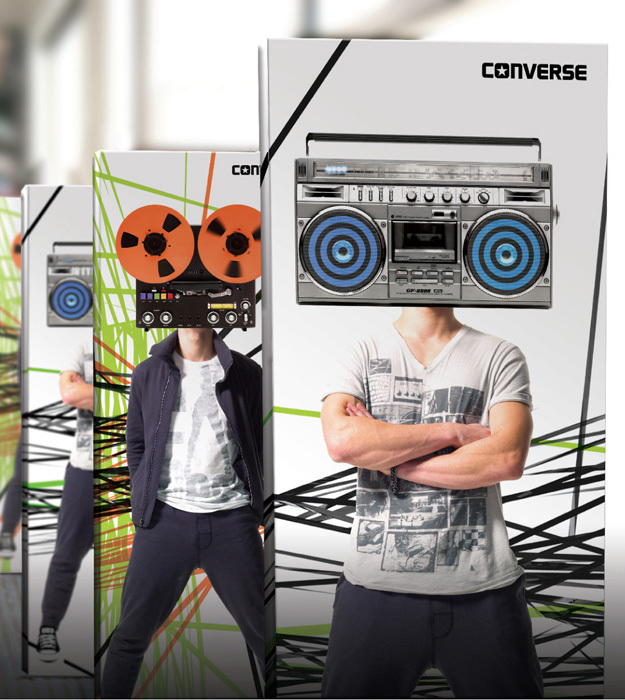 Intro developed a concept that adapted the chain format of the global Converse ‘Connectivity’ platform to work as a campaign unique to USC that would have high impact across window displays, in-store printed collateral and online assets. 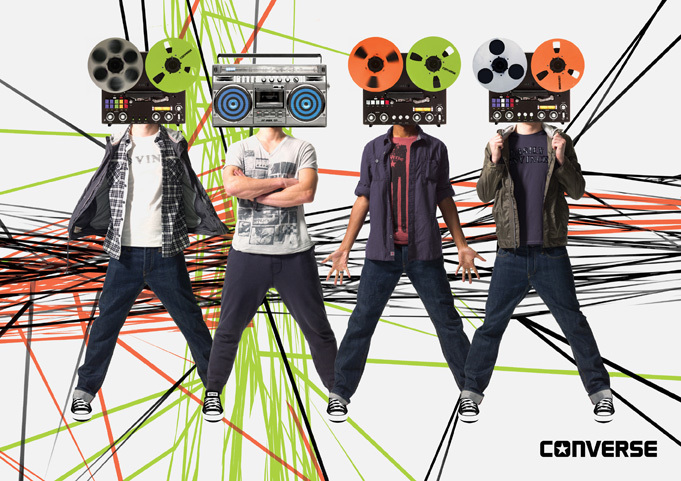 Intro shot, art directed and retouched all photography to create all assets and conceptualised the ‘tape deck’ heads, which had moving parts and flashing lights in the 3D execution.